Is it a bird? Is it a plane? No, it’s Freddie Fantastic, Magic 4 Children birthday party “superhero” children’s entertainer in Manchester, Chester and Stockport. But what does a superhero party entertainer’s alter ego do in his time-off? 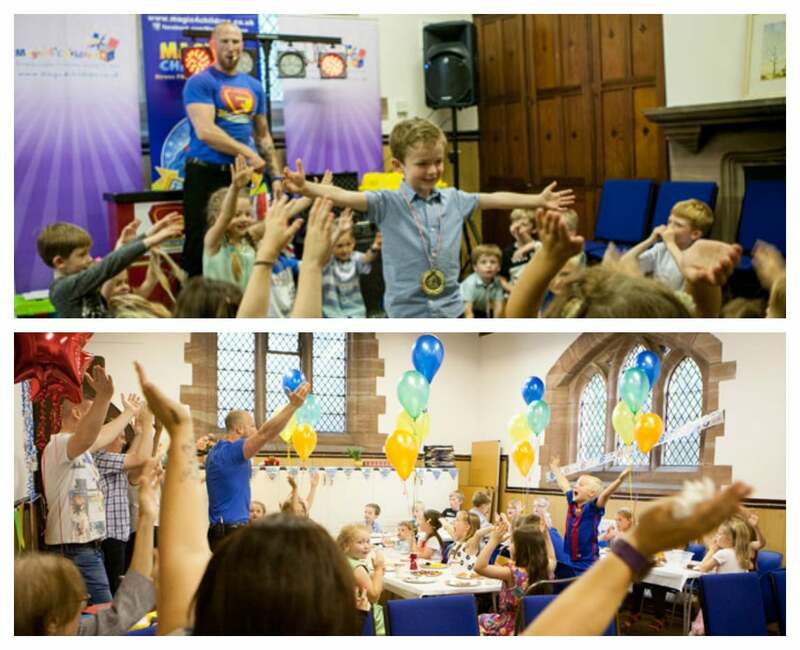 What one superpower would he like to have and what is his top tip to make your birthday party the best yet? Read on to find out. I have been working with children for the past 7 years in many different roles from guitar teacher to drama leader. Freddie Fantastic is my latest character that came to life in early 2016. What is your favourite thing about being a children’s entertainer? The best thing about that story is that his mum came up to me after the magic show and told me that normally her son was painfully shy. Even she was surprised when her son came up cracking jokes. My favourite thing about working as a kids entertainer has to be creating and providing joy and excitement for every child (and sometimes grown-ups) at that party. It’s a huge responsibility, making a child feel special on their birthday and creating memories they can one day look back on fondly. But it’s a responsibility I gladly take on for every birthday I attend. As a superhero party entertainer, if you could have one super power for one day, what would it be? Hmmmm… If I could have one super power for one day, it would have to be the ability to move things with my mind. I could do some seriously cool magic with that super power and I could float the birthday child around the room and give them the ability to hover over their friends. If you weren’t Freddie Fantastic, which superhero would you like to be? Hands down, I would be Superman! Ever since I was a small child, I wanted to be Superman. Now that I’m a slightly bigger child, nothing has really changed. What was the funniest/most memorable thing that happened whilst you were entertaining at a party? That’s a really hard question. Every party is different and kids really do say the funniest things. Half of my show consists of one-liners that kids shout out or come up with and say to me during the party! I would have to say though that the one that really sticks out is when I had a volunteer from the audience come up to help me with a magic trick and he just stole the show. He was so confident and funny, he had all the boys and girls laughing, and the parents too. The best thing about that story is that his mum came up to me after the magic show and told me that normally her son was painfully shy. Even she was surprised when her son came up cracking jokes. There are so many wonderful moments at these parties and the last thing any parent wants is to be stuck in the kitchen, stressing about food whilst their child turns 6 for the first and last time. These parties aren’t just for the kids to enjoy; they can be stress-free and fun for the parents too. I really love playing musical statues with the boys and girls. It’s great fun dancing around with them all and seeing their excitement build up with each triumphant round. It’s also a nice excuse for me to have a boogie too! I am always partial to cheese and pineapple on a cocktail stick– oh, and the mini sausages too! Classic party food! When you are not entertaining at a children’s birthday party, how does Freddie Fantastic like to relax? When I’m at home relaxing, I enjoy having a sing-song on my guitar and learning new songs. I also enjoy keeping fit so regular visits to the gym also keep me relaxed. Also, you can’t beat curling up with a good book. What is your top tip for a successful birthday party? My top tip for any party would be to relax, trust that everything will work out fine, and do as much preparation before the big day as you can so that when it comes to the party, you can sit back and enjoy watching your child celebrate with his or her friends. There are so many wonderful moments at these parties and the last thing any parent wants is to be stuck in the kitchen, stressing about food whilst their child turns 6 for the first and last time. These parties aren’t just for the kids to enjoy; they can be stress-free and fun for the parents too. 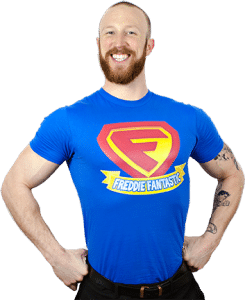 If you would like Freddie Fantastic to bring his super powers to your child’s next birthday party, then do take a look at his page and get in touch.